The hydrangeas from your garden make a pretty bouquet and I like your little treasures like the tea cup and the white cherubs or angels. 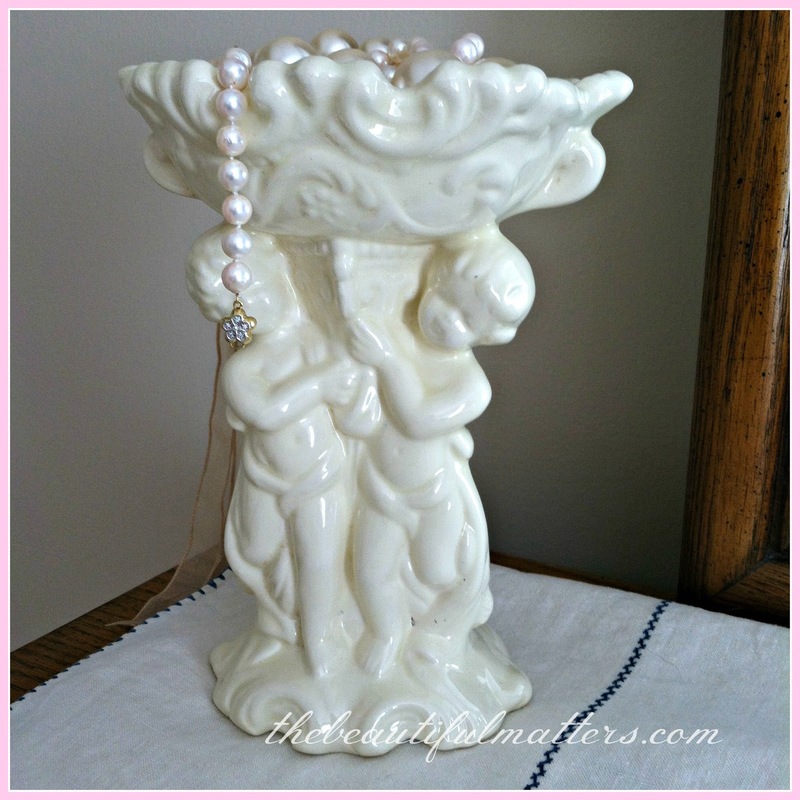 Sweet cherubs and a pretty teacup you ordered from Michele. You must be happy with the way the floor turned out, It looks brand new again. What a nice surprise to find forgotten chocolate,a treat for all your renovation work. I have the same vase, that the beautiful hydrangeas are in, wish I had them too .Your floor looks very nice, I have wood floors in my kitchen and dinning room and love them. 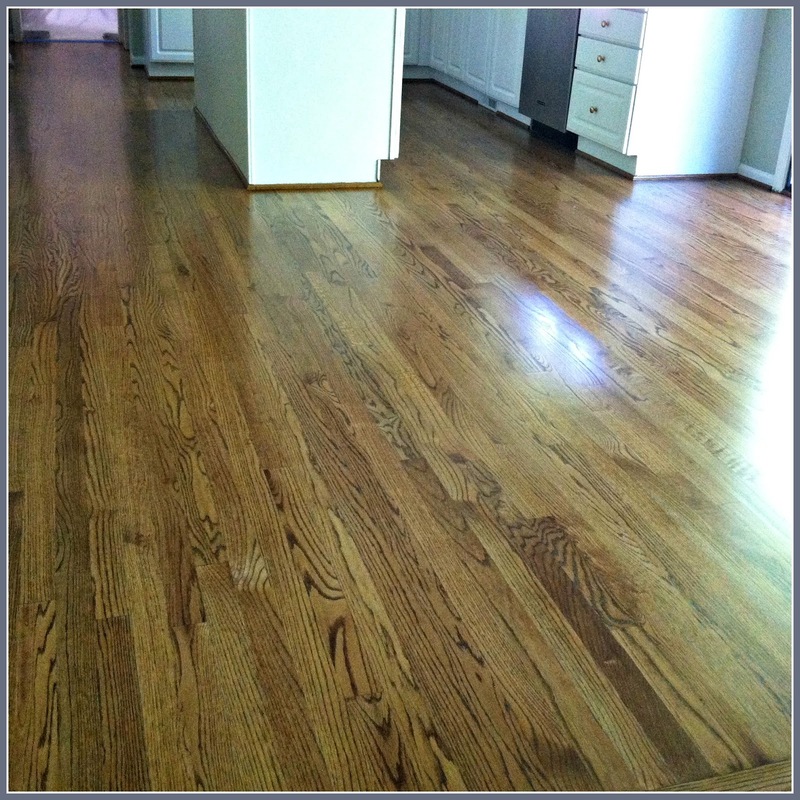 The best part here is the lovely newly finished floor! Looks perfect. Enjoy your tea times and summer. 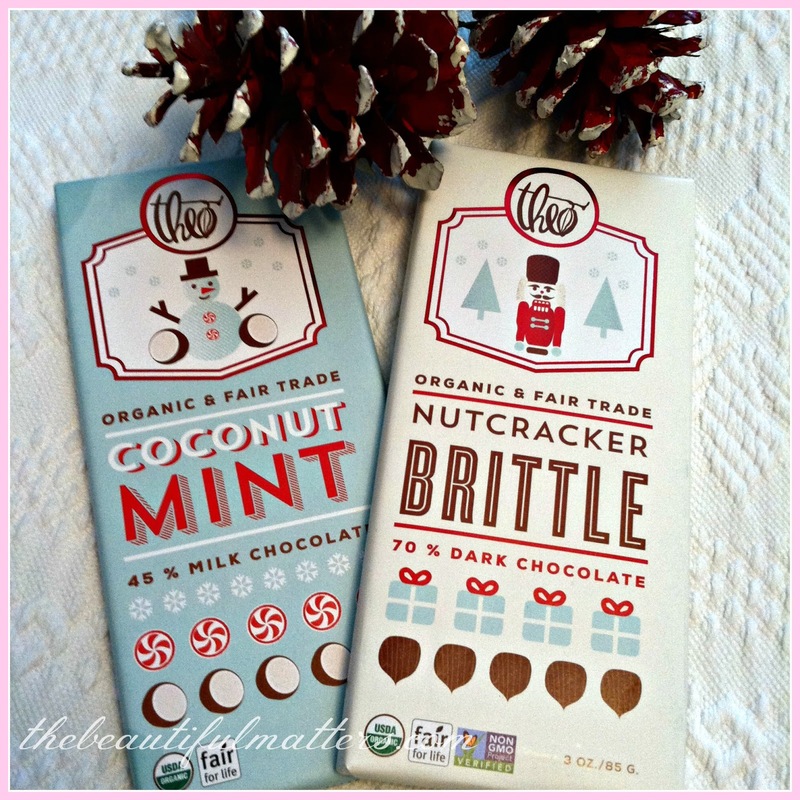 Ooh, those chocolate bars are perfect for a Christmas in July blog gathering I'm linking with this weekend. LOVE the hydrangeas and your floors. Enjoy your kitchen makeover. While waiting for our dream cottage in our transitional house, I miss doing that more than you know. So many things we take for granted. I am having a Christmas Tea in July this Friday, so I am wrapping little gifts, and getting out my Christmas tea pot. How are you doing yours? 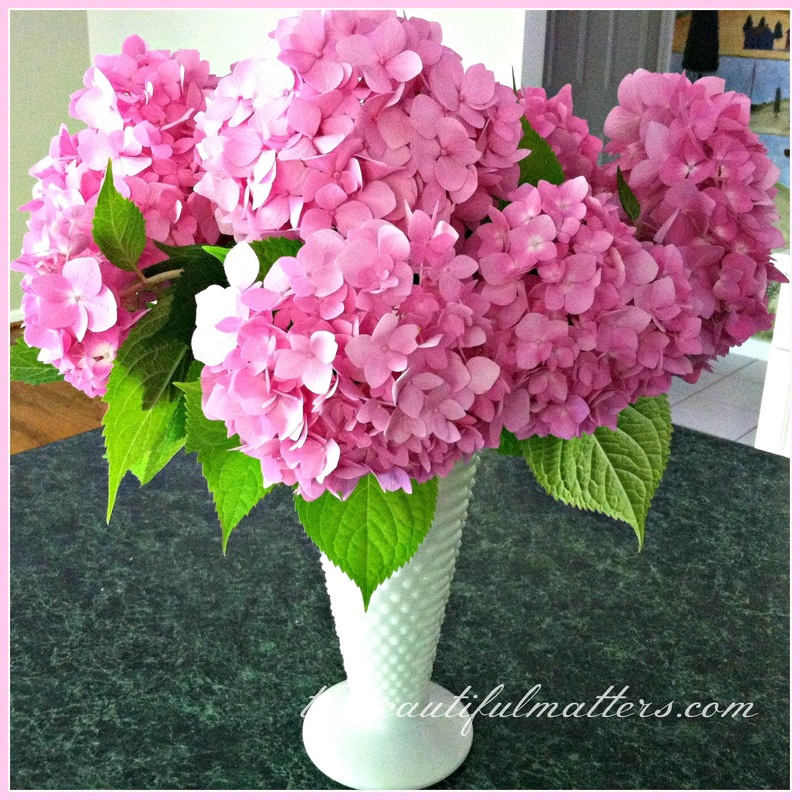 Hi Deborah, LOVE your hydrangeas in the hobnail vase. Just a gorgeous color. 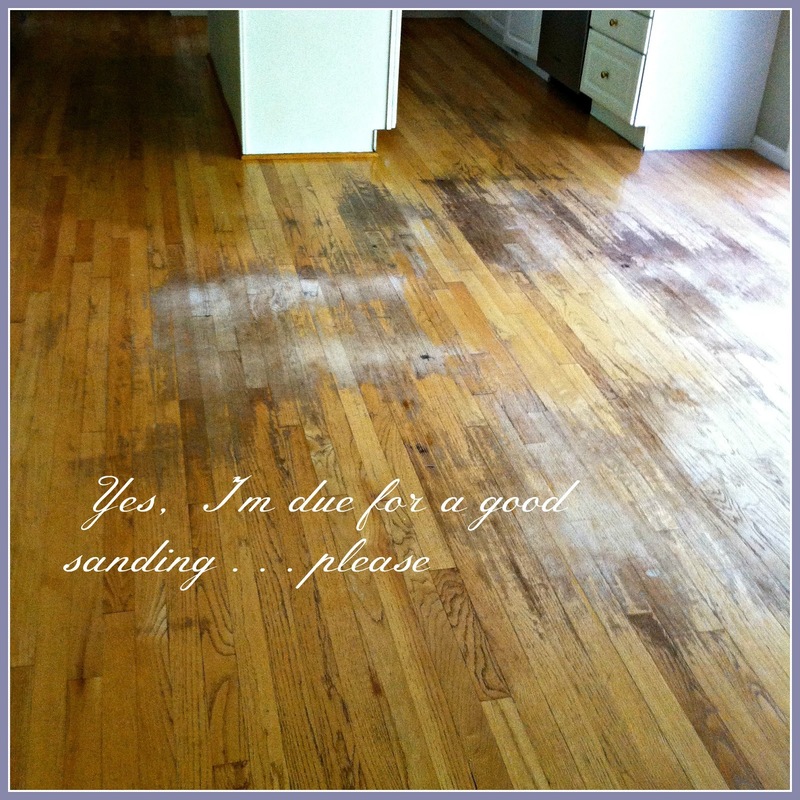 Your floors turned out gorgeous. Love the color too. 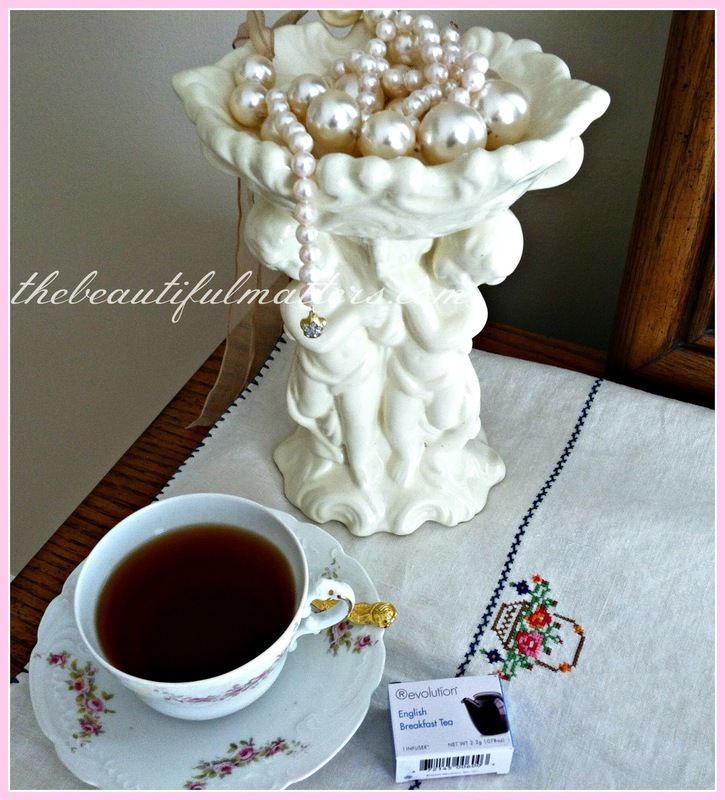 The cherubs are adorable and the pretty tea cup is very special. 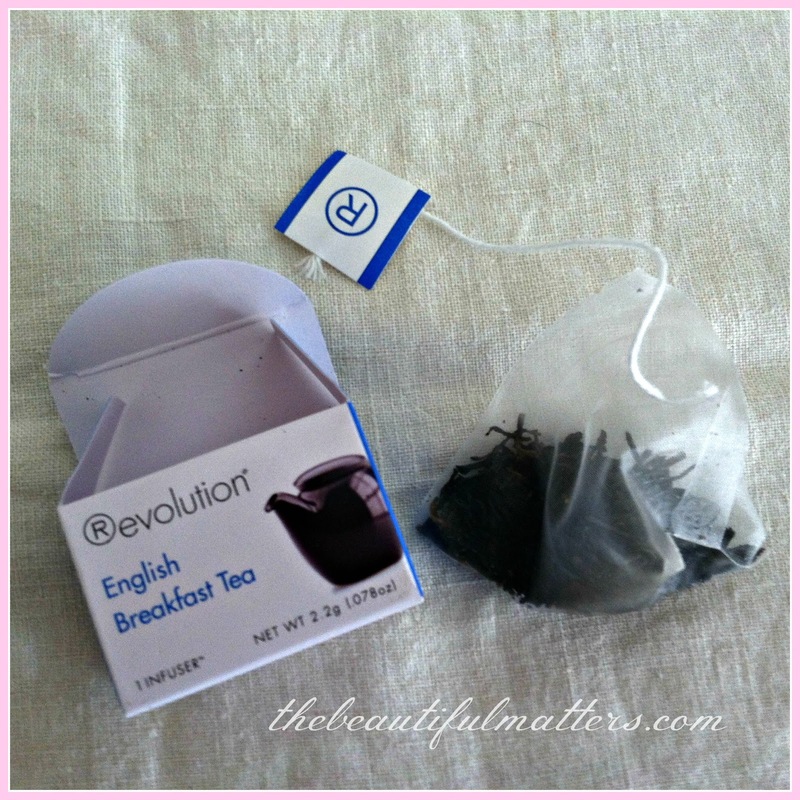 I have found tea with this sort of teabag too. 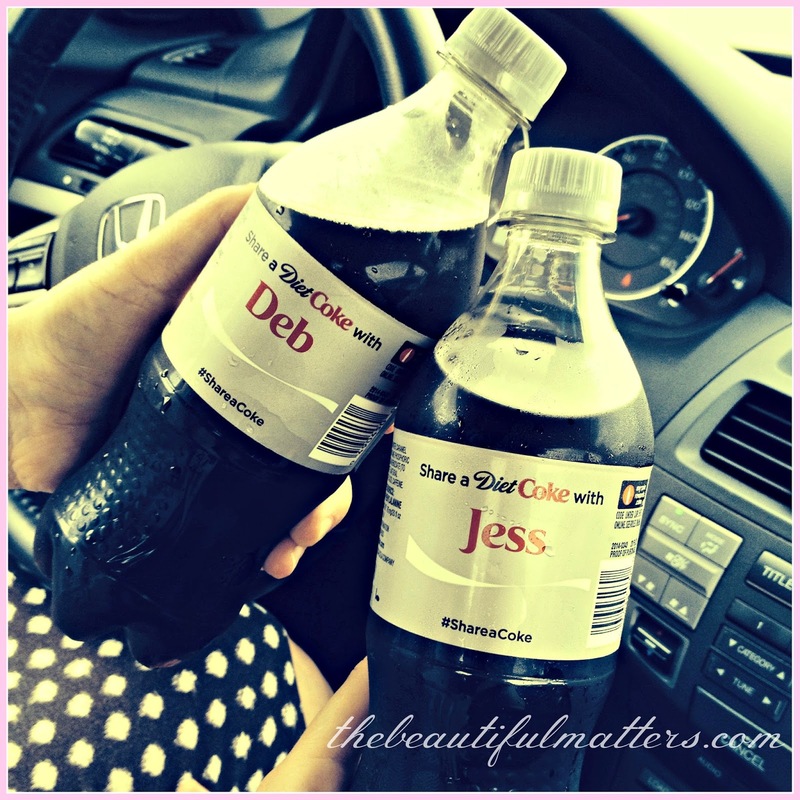 How fun your daughter pulled out coke bottles with your names. Lots of delights. Michele is very good at packing things carefully and beautifully. Share a coke? That's pretty cool. Beautiful hydrangeas, and beautiful teacup. Your floor looks lovely. I enjoyed your post. I would have checked the chocolate too! Seriously though, that is quite the charming tea cup. I was so happy to see your post today. Thank you for the shout out, love!! Your floors, hydrangeas, knock-out roses, everything is so WOW! You should share your floor on Metamorphasis Monday on Between Naps on the Porch - that before and after is INCREDIBLE - gorgeous floor. Hey, that is really neat about the Cokes.....serendipity for sure! And, well, finding that chocolate - when are they coming? Christmas in July, by chance? 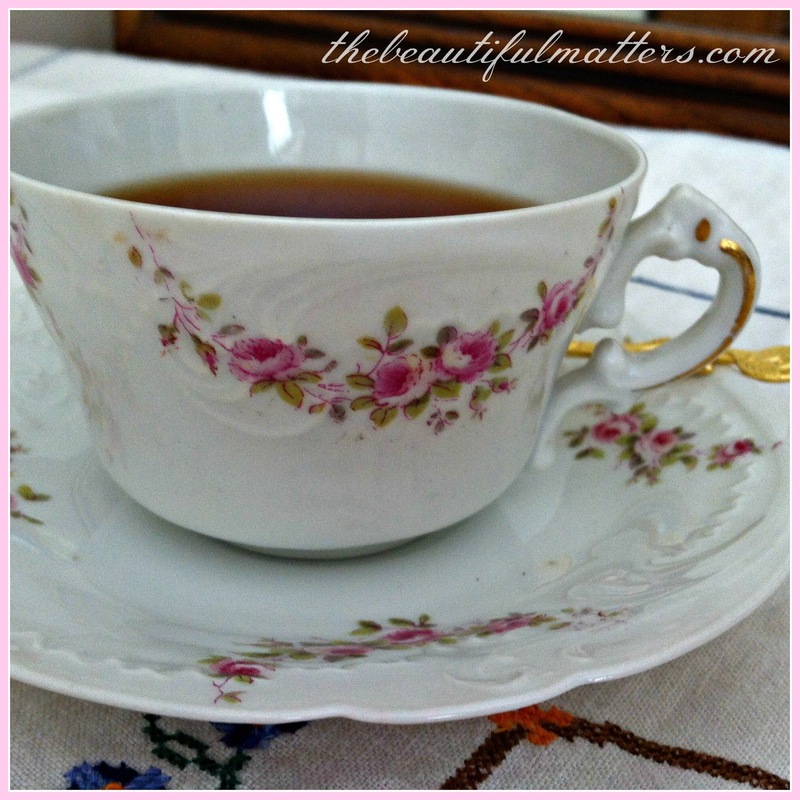 You found some sweet little treasures - I just love the garland of roses on the tea cup and saucer! Your hydrangea's are gorgeous and so are your roses. I had to laugh when I saw the candy that you hid. It's always nice to find hidden candy :) The coke bottles are amazing. Enjoy your company! 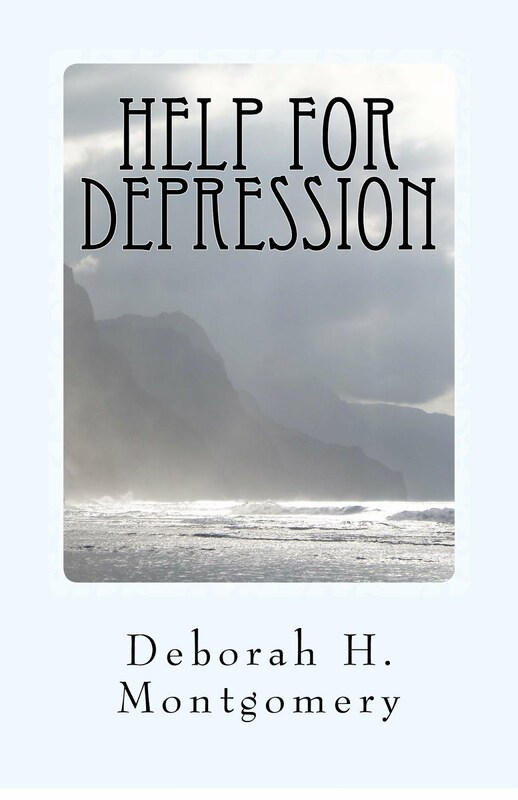 I am sent here by Debra at Frugal Little Bungalow, and I find your blog as enchanting as she promised it would be! 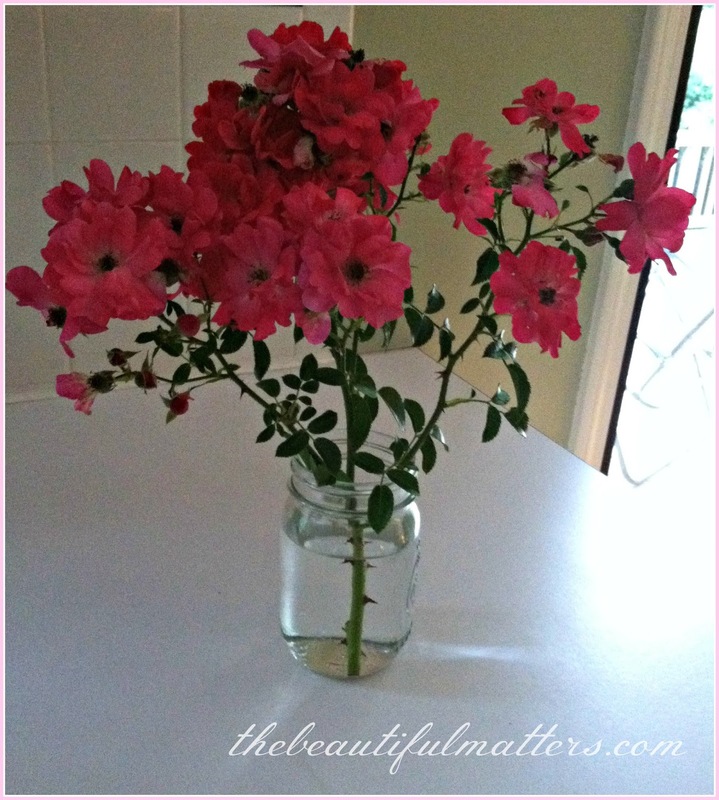 The pink on your blossoms is so pretty and vivid! 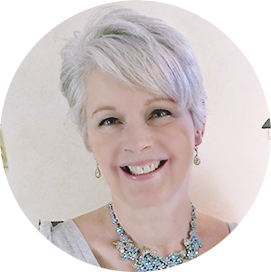 I have read a few posts back and you draw people in with the simple elegant way you express yourself. Lovely! Love the hydrangeas. Mine haven't even thought about blooming yet. Just love the colour of the hydrangeas - I always think of my dad as he use to grow them many years ago. 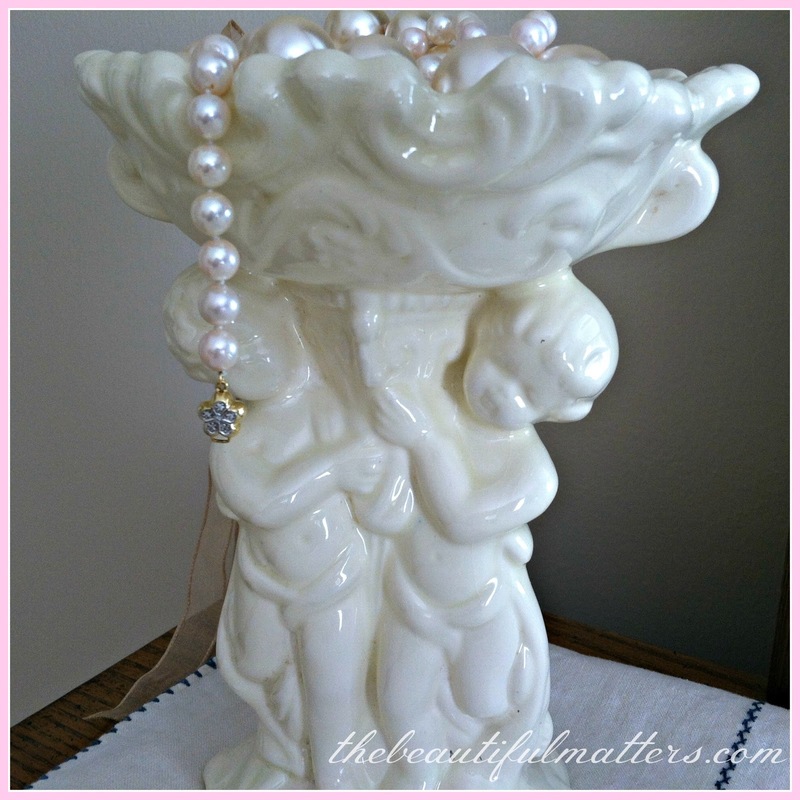 Your cherubs are adorable and the pearls are the perfect place for them . It's things like the diet coke duo that completely make me think there's gotta be some kind of amazing energy between people! Michele is such a sweetheart; your teacup and saucer are very pretty, as are your 'independent' flowers! Very pretty hydrangeas (and I love hydrangeas!). Great buys--especially the teacup. "Infuser" does sound way cooler than teabag! How cool you happened to get two cokes with yours and your daughters name! Have a great week :) Oh, and I forgot, your floors look terrific! Lots of lovely things here - tea cups and chocolate and hydrangeas. And the floor looks so beautiful.